Walter Herbert was born in the mid-15th century to William Herbert of Raglan and Anne Devereux of Weobley. He was the second son of the couple after his father’s namesake and one amongst around a dozen children that were bor n to the couple. Walter’s brother William, his father’s heir, was thought to have been born in March 1451 therefore it is reasonable, although admittedly not certain, that Walter was born during 1452. As a second son details regarding the birth are more difficult to ascertain, an issue for the modern historian that extends even to second sons of medieval royalty. 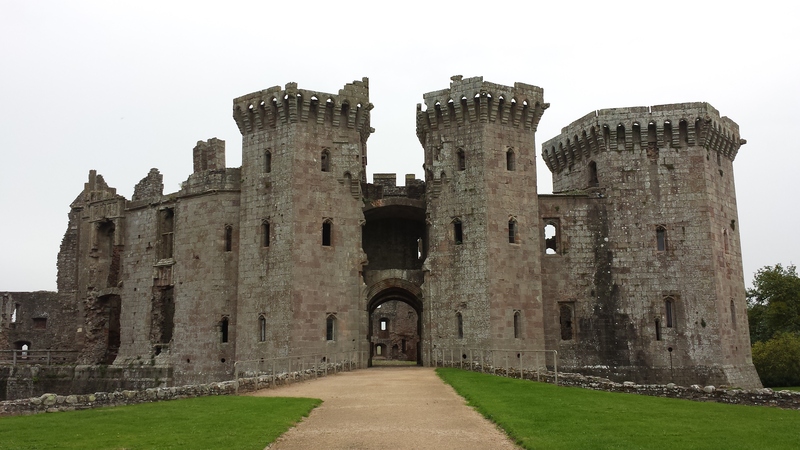 Once again it is reasonable to assume Walter was born at Raglan Castle near to Monmouth, the Herbert family seat which had recently been inherited by Walter’s father William from his grandfather William ap Thomas. Raglan Castle’s position in the Marcher lands of south east Wales warranted the fortress a degree of prestige as a good conduit between rural west Wales and the industrious citadel that London. Although a castle has long stood on the site, Raglan first gained wider prominence under the ownership of Walter’s grandfather William ap Thomas, a veteran of the battle of Agincourt in 1415. It was William ap Thomas who oversaw the construction of the French-styled Great Tower, a five story hexagonal keep known as the Tower of Gwent. William Herbert inherited this castle upon William ap Thomas’ death in 1445. Walter’s mother Anne Devereux came from a prominent Herefordshire gentry family and was the daughter of Sir Walter Devereux and Elizabeth Merbury. Sir Walter served as Lord Chancellor of Ireland between 1449 and 1451 and was closely affiliated to the greatest landowner in the region and probably the kingdom in Richard, Duke of York. Elizabeth Merbury meanwhile was the daughter of Sir John Merbury who had served as Chief Justice of South Wales. Walter Herbert’s childhood, and indeed his entire life, would be dominated by the internecine conflict now regarded as the Wars of the Roses. Walter’s father William Herbert was closely aligned with the Yorkist faction of Richard, Duke of York, a natural position considering their lands primarily lay within close proximity to the Duke’s own Marcher estates. This was further supported by Wlliam Herbert’s father-in-law Walter Devereux being a core part of the Yorkist court party and close to the Duke of York. Young Walter, who was almost certainly named after his esteemed Devereux grandfather, was raised in a household that was undeniably Yorkist in affection and affiliation. After the brutally bloody victory of the House of York at the Battle of Towton in 1461, Walter’s father William Herbert became the first Welshman to enter the English peerage when he was ennobled by the new king Edward IV, the son of the deceased Richard of York, as Lord Raglan. William Lord Raglan maintained his preeminent position as one of Edward IV’s chief councillors throughout the decade, using this newfound wealth and power to dramatically renovate Raglan Castle. His most opulent addition was the Great Gatehouse, consisting of an entranceway dividing two half-hexagonal towers with elaborate machicolations. His rebuilding project was designed to demonstrate the Herberts new prestige, an image which was bolstered in 1466 when Herbert secured the betrothal and subsequent marriage of his eldest son William to Mary Wydeville, the queen’s younger sister. In 1468 Lord Raglan was bestowed with the quasi-royal title Earl of Pembroke, recently stripped from the exiled Lancastrian Jasper Tudor, further cementing his position alongside the king. 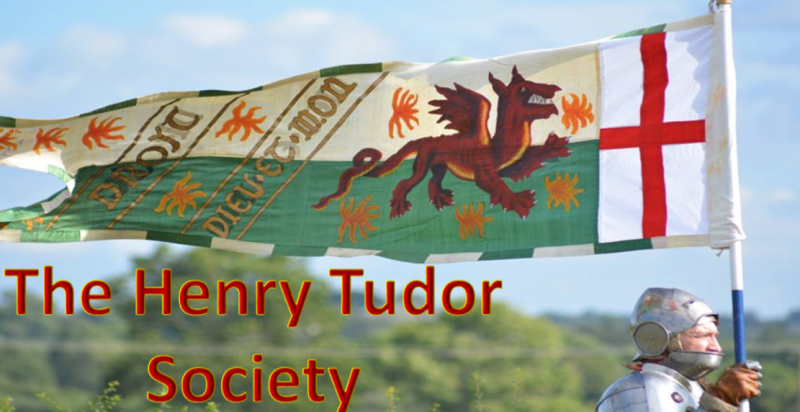 The Tudors and the Herberts had an acrimonious relationship, perhaps due in part to their respective ancestors’ roles in the Owain Glyndwr Welsh Wars of Independence in the early 15th century. Glyndwr was ably and loyally assisted during his uprising by his first cousins, the Tudur brothers of Penmynydd. Fighting against them as a commander of the English king Henry IV was Dafydd ap Llewelyn ap Hywel, better known as Dafydd Gam and a respected military veteran. One of the Tudur brothers, Maredudd ap Tudur, was the grandfather of Jasper and Edmund Tudor whilst Dafydd Gam was the grandfather of William Herbert. This mid-15th century generation of Herberts and Tudors would have been aware of this family rivalry at the turn of the century and it may have provided an added dimension of animosity during their battle for supremacy within Wales during the Wars of the Roses. In 1456, whilst Walter Herbert would have been a young child, his father William led a siege on Carmarthen Castle on behalf of the Yorkist cause, capturing and imprisoning the resident constable Edmund Tudor, at that time Earl of Richmond and half-brother of the Lancastrian king Henry VI. Within a few months Edmund Tudor was dead and buried in the Grey Friars in Carmarthen. The cause of death is often considered to have been from an outbreak of the plague but could conceivably have been brought on by injuries suffered during the siege or imprisonment. Herbert’s actions were certainly a factor in the downfall and death of Richmond and would have incurred even greater animosity from the surviving Tudor brother, Jasper, the Earl of Richmond. The Tudor/Herbert rivalry took an intriguing twist after the Yorkist ascendancy in 1461 when William Herbert purchased the wardship of Henry Tudor, the four-year-old son of the deceased Edmund Tudor. Henry was the new Earl of Richmond and despite his clear Lancastrian credentials was potentially a valuable asset to Herbert. Henry’s hitherto protector Jasper Tudor had been forced into exile and his mother Margaret Beaufort was in no position to retain control of her son. Henry was integrated into the Herbert household and conceivably treated on par with the Herberts own children. It would have been during this time that Walter Herbert, probably aged around eight or nine years old, would have first met Henry Tudor. What were his thoughts on this new intruder who was now expected to be his childhood companion? Perhaps he was joyful had gaining a new friend or possibly there was jealousy over another competitor for the affections of the adults. It is difficult if not impossible to state for sure but one must assume Henry’s time at Raglan was a relatively happy one; Scholars rating amongst the very best tutors were assigned to him in order to provide the child with a top education whilst it is also known he received military training as befitting his status as a noble youth. Henry’s histiographer when he became king, Bernard Andre, would later record ‘after he reached the age of understanding, he was handed over to the best and most upright instructors to be taught the first principles of literature’. Andre also wrote, perhaps with a degree of bias towards his royal patron, that Henry ‘surpassed his peers’. Henry Tudor would remain with the Herberts until he was a teenager, with Walter Herbert concurrently emerging from adolescence into adulthood. The greatest hint that Henry appreciated his years at Raglan, if not the wider conflict that had enforced his situation, was a later statement recorded by Polydore Vergil that Henry considered himself ‘kept as a prisoner, but honourably brought up’. Henry also brought Lady Anne Devereux, Walter’s mother, to court once he was crowned king to show favour and deference to the woman who had played a part in his development. Nonetheless a frustratingly unanswered component to the childhood of Henry at Raglan is the spectre of his father’s death at Carmarthen Castle a mere three months before his birth. If any person was responsible for Edmund Tudor’s death it would have been William Herbert, who led the attack on the castle and the imprisonment of the Earl of Richmond. Was this subject ever discussed at Raglan, where Henry Tudor regularly dined with William Herbert and played with his son Walter? Whatever Henry’s feelings toward William Herbert, his uncle’s successor as Earl of Pembroke after 1468, it seems Herbert had serious designs on fully integrating Henry into the Herbert family by marrying the boy to his daughter, and Walter’s sister, Maud. This marriage would have united the two most powerful 15th-century Welsh families and provided William with a respectable marriage for his daughter. Henry’s descent from King Edward III through his mother Margaret Beaufort would not have gone unheeded by the opportunist Herbert. We know this marriage was proposed due to its inclusion in Herbert’s will, rendered relevant after his execution after the Battle of Edgecote in 1469. Herbert was killed fighting for the House of York against the rebellious force of Richard Neville, Earl of Warwick, a man who regarded Herbert with enmity as a parvenu unnaturally close to the king. He was an ardent Yorkist until his last breath. His will commanded the betrothing of Maud to Henry but this arrangement was disrupted by the Readeption of Henry VI and the House of Lancaster to the throne after the Battle of Barnet in 1471. This restoration brought Jasper Tudor back to the kingdom for an extended duration for the first time since his hurried exile a decade earlier and it was his nephew Henry that he immediately sought out. Henry had been taken to Weobley, the Devereux family seat of Walter Herbert’s maternal relations where presumably the remainder of the Herbert children were also in attendance. It’s often thought that the twelve-year-old Henry had been present at the Battle of Edgecote, witnessing his first military engagement. If this is the case then it is probable that Herbert’s sons William and Walter were also present, particularly as they had reached adulthood. If this was the case it must have been a traumatic experience for all, as they may have seen their father William and uncle Richard brutally executed by Warwick’s army. The ill-fated Readeption of Henry VI barely lasted a year and culminated in the deaths of the king and his only heir Edward, Prince of Wales. Jasper Tudor once again fled into exile but this time ensured he took with him his nephew Henry. Although the House of York had been restored to the throne, the Herberts did not succeed in regaining their hitherto powerful positions. William Herbert’s eldest son and heir William initially succeeded to the earldom of Pembroke after the Battle of Edgecote. The younger William’s marriage to Mary Wydeville, the queen’s sister, ensured he remained on favourable terms with the royal family but without the guiding hand of his father this relationship began to disintegrate. In 1479 William was forced into accepting the lesser earldom of Huntingdon in place of that of Pembroke, a demotion that brought with it a decline in prestige and wealth. The Pembroke title was bestowed upon the king’s son, Prince Edward. Walter Herbert’s whereabouts during this period are unrecorded but it’s assumed he was involved in the continuing administration of the Herbert estates. The family did receive some notable attention in 1476 when Maud Herbert, who had once been proposed as a bride for Henry Tudor, was married to Henry Percy, the mighty 4th Earl of Northumberland and one of the premier nobles in the kingdom. The wedding must have been a spectacular event whilst the Herberts were undoubtedly grateful to have secured a prestigious marital alliance at a time their fortunes appeared to be on the wane. It’s intriguing to note that Henry Percy, just like Henry Tudor, spent part of his youth under the guidance of William Herbert at Raglan, a period where he would have encountered both Tudor and Walter Herbert. What bearing did this childhood association have on decisions each man took as adults? After Edward IV regained the throne in 1471 there was a relative period of peace and prosperity until the king’s death twelve years later in 1483. The seizing of the crown by Richard, Duke of Gloucester, from his young nephew Edward V opened a fresh round of civil strife as members of the nobility loyal to Edward and his maternal Wydeville relations sought to depose the newly crowned Richard III. The apparent death of the young prince however paved the way for distant exile Henry Tudor to be adopted as an alternative king by disenfranchised Yorkists and lapsed Lancastrians. As with all members of the gentry, the Herberts would have viewed events with a sense of trepidation, calculating how to manipulate the situation to ensure they retained their status and estates. Supporting the loser in such a conflict could cost a man his lands and his life. The titular head of the family as Earl of Huntingdon, William Herbert had connections to each faction and therefore by extension did his younger brother Walter. William had been married to Mary Wydeville until her death in 1481 and of course had been an associate of Henry Tudor’s during his time at Raglan. His sole child with Mary, possibly named Elizabeth after her aunt the queen, was thus a first cousin of the deposed king Edward V. Interestingly however in 1483 William married Katherine Plantagenet, the recognised but illegitimate daughter of Richard III. This marriage would have undoubtedly brought Herbert closer to the king and must have ensured his loyalty at a time when Wales, in the sphere of Herbert influence, was being targeted as a potential landing place for Henry Tudor. It is possible that William had become acquainted with Richard on a personal level and was indeed appointed Justiciar of South Wales. This would be in keeping with the Herberts traditional stance as avowed Yorkists; Walter and William’s uncle Walter Devereux, Baron Ferrers, would be killed at Bosworth fighting for Richard. Henry Tudor in exile would have been informed of developments in England and Wales as he plotted his tactics for invasion. It was apparent that his best chance of a successful invasion would be via Wales, parts of which had always remained sympathetic to the House of Lancaster and the Tudors in particular. Henry began to court potential allies in Wales and the Herbert family were focuses on account of their standing in the region. As son-in-law to Richard III it seems that William Herbert, Earl of Huntingdon, was not considered likely to flock to the banner of Henry Tudor. His younger brother Walter however, a man with no titles or major estates, was targeted as a prospective collaborator. Walter Herbert was an able military commander and possibly the most competent of the Herbert brothers. He was described as ‘a man of ancient authority among the Welsh’. Henry’s need for alliance to the Herberts increased in desperation after rumours throughout the English court that King Richard III was considering marrying his niece Elizabeth of York reached Henry in exile. It had been planned for Henry to marry Elizabeth in the event of a successful invasion in order to boost his credentials as a unifying king, bringing together Lancaster and York and ending the Wars of the Roses. The loss of Elizabeth as a bride would have created unspeakable damage to his claim to the throne, probably resulting in the loss of the Wydeville affinity as supporters to his cause. Henry was persuaded to consider alternative options with one possibility being a sister of William and Walter Herbert. Although Maud had married the Earl of Northumberland, her younger sisters Jane, Cecily and Katherine remained unmarried and viable options. A marriage to a Herbert sister would give Henry a greater bargaining chip in securing the alliance of William Herbert whilst also opening up a dialogue with Henry Percy, Earl of Northumberland, as extended family. It appears that Henry sent his messenger Christopher Urswick to Percy to discuss the possibilities arising from such a union but the message appears to have never been received. Polydore Vergil recounted Henry’s marital issues in his later works, stating ‘it was thought to stand with their profit if by affinity they could draw into surety of that Walter Herbert, a man of ancient authority among the Welshmen, who had with him a sister marriageable; and to procure the same, messengers were sent to Henry Earl of Northumberland, who had in marriage Walter’s other sister, that he would deal in that cause’. Henry Tudor landed at Mill Bay in West Wales on 7 August 1485, unsure of the welcome that would be awaiting him from the local populace. His army marched northwards into Wales, remaining close to the coast as the proceeded first towards Harverfordwest and then onto Cardigan. Henry’s actions in staying close to the coast as opposed to marching in land suggest he was wary of Walter Herbert and another great South Welsh magnate in Rhys ap Thomas, both of whom were outwardly loyal to King Richard III. His initial avoidance of direct conflict suggest Henry had yet to reach an agreement with either man and was attempting to circumvent their combined forces. It was whilst Henry was in the proximity of Cardigan that news allegedly reached his camp that Walter was rapidly approaching from Carmarthen with a large force, ostensibly to do battle against Henry in the name of the king. It was rumoured that Walter was ‘not far away with a band of armed men’. Henry anxiously sent out scouts to investigate but their reports were inconclusive. It may have been confusion as it was at this time a Welshman named Richard Griffith joined Henry’s army with some reinforcements along with John Morgan. It is unclear if these men defected from Herbert’s force or were permitted to leave. It is known that Henry finally came face to face with Rhys ap Thomas at a location known as Long Mountain in Powys, close to the English border where it is probably he was accompanied by other prominent Welshmen like Rhys ap Maredudd Fawr. It may be presumed that Walter Herbert was also present at this junction, a final rallying cry for the Welsh nobles before they left behind Wales and continued their march into England and towards Bosworth. There is scant evidence for Walter’s participation at Bosworth but the limited information that we have about his career post-1485 suggest he was firmly allied to Henry. His brother William Herbert did not fight in the battle on either side, remaining outwardly neutral. Walter was knighted after the Bosworth campaign, a gesture of gratitude that Henry issued to his supporters. He was also made Steward of properties in South Wales, including Talgarth and Cantrecelly and appeared to have the lease and lordship to Caldicot Castle. On 19 August 1502 it was recorded that Queen Elizabeth of York stayed at her husband’s childhood home, the guest of Walter Herbert, the one-time brother-in-law of her aunt Mary Wydeville. During this stay Walter bought the queen a goshawk. Walter also succeeded in making a good marriage on 15 February 1500 when he was wed to Anne Stafford, the daughter of the Duke of Buckingham who was killed in 1483 for joining Henry Tudor’s rebellion. Anne was not only the daughter and sister of Dukes of Buckingham but was also the step-daughter of Jasper Tudor, who had married her widowed mother Katherine Wydeville. After the death of his brother in 1490 the Herbert estates were legally inherited by his niece Elizabeth although Walter oversaw the administration. Elizabeth also inherited the Barony but not the earldom, which could only be inherited in the male line. For reasons unfathomable the earldom did not pass to Walter Herbert. Sir Walter Herbert passed away on 16 September 1507. His lasting, if fictional, legacy may be the fact he was mentioned in Shakespeare’s infamous play Richard III when Henry of Richmond commands ‘And you, Sir Walter Herbert, stay with me’. It would appear that Walter Herbert did indeed stay with Henry Tudor, remaining loyal to the first Tudor monarch until his death ended a lifelong association.